The next stop in my aim to visit as many European countries as possible took me to Krakow, Poland. It was a very chilly visit with temperatures dropping to -8ºC at times. The city itself was not vastly different to many other major European cities. Its old town was littered with interesting architecture influenced mainly by its strongly catholic heritage. The old town itself contained more than 15 catholic churches as well as its impressive Wawel Castle that can be dated back to 920AD. However, it is the modern history of Poland and specifically the Krakow area that is of particular interest and significance to myself and thousands of tourists alike. In the main square we ate at ‘Cafe Wesele’ (I definitely chose it because its name closely resembles ‘Weasel’) We had fried potato pancakes with beef stew. Seriously delicious and homely food for a cold winter’s day and best of all it cost 74 Polish Zloty – about 16 pounds! Food in Krakow was hearty, rich and fantastic value, it didn’t however stick around long enough to be photographed! Following our first day exploring Krakow, we drove out to the nearby Jewish Ghetto to visit Oskar Schindler’s ceramics factory. We tagged along to a tour and gleaned a Polish perspective into the Nazi invasion of Poland at the beginning of WWII. I’m not normally a fan of wandering around museums but the guide brought the exhibitions to life and offered new and interesting facts about the war and the resilient attitude of the Polish people of the time. I didn’t take any photographs inside the museum. The visit to Oskar Schindler’s factory would help to set the scene for the well documented atrocities that would occur throughout in Nazi occupied Poland during WWII. On day two of our visit we drove 60km outside of the city to Oświęcim or as its more commonly known; by its German name: Auschwitz. Having visited the S21 prison and Killing Fields of the Khmer Rouge in Cambodia – I was prepared for what I was about to see and as with my visit to the Killing Fields, my reaction to being in Auschwitz was somewhat underwhelming. I wasn’t particularly saddened nor shocked by what I was seeing and reading. Perhaps because the Holocaust and terror that was delivered at the camps has been so well publicised but more than likely because the severity of violence and normality of murder in the camps was simply unbelievable. While I did take photos at Auschwitz and Birkenau, some of the buildings and exhibits, I felt would have been distasteful to photograph. The gas shower rooms and adjacent crematoria with charred ceilings will be forever etched on my memory. The sign on the entrance reads: ‘Arbeit Macht Frei’ which translates from German as ‘Work Makes You Free’ – Shocking. For some prisoners, ‘Taking it to the wires’ was the best option. The camp was constructed with precise attention to detail in order to cause harm and terror. One of the exhibitions was a book of the names of Jewish prisoners who had been killed in Auschwitz-Birkenau. The book was 1.5m high and 5m thick and was separated into two sections (10m thick in total) and occupied an entire room. The names of the deceased were written in a 12pt. font. This was a truly mind blowing exhibit. We took a short drive to Birkenau – where killing took place on an industrial scale. The size of the camp was unbelievable and the accommodation would make a cattle shed look glamourous. We saw the camps on a grey day where temperatures bottomed out at about -8ºC so we saw it in a bad light – enough to give us further insight into the atrocious conditions people faced, particularly in winter. Following a heavy day of history we travelled to my happy place – The mountains. I had originally planned to go on a skiing holiday to Zakopane near the Slovakian border – however for the short trip I didn’t feel it would have been worth it. Nevertheless, we made the journey south in our hire car to the region in the Tatra mountain range. A beautiful 30 minute walk from Zakopane village to the cable car that would take us to Mount Kasprowy (1987m asl). I will be going to Poland this summer and Krakow and Ausschwitz are part of the agenda. I really enjoyed your post. It was well written and informative and you have a very good eye. Your photos are excellent. Thanks for sharing. I signed up for your blog, you are one to watch. Thank you. 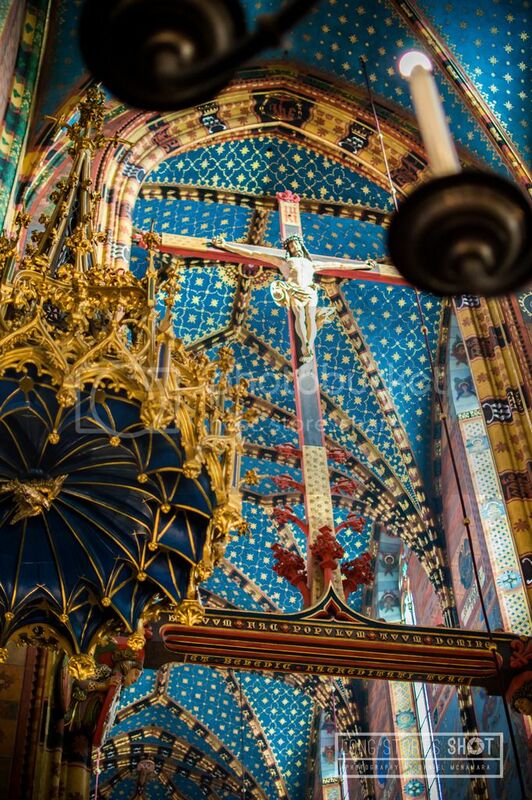 I really loved Krakow – I hope you do too. I am sure I will. It looks very picturesque.